True friendship is stronger than stone. You know that one friend who is truer than true, the one with whom you have built a solid foundation of trust, the one who loves you no matter what? She is a treasure to hold. 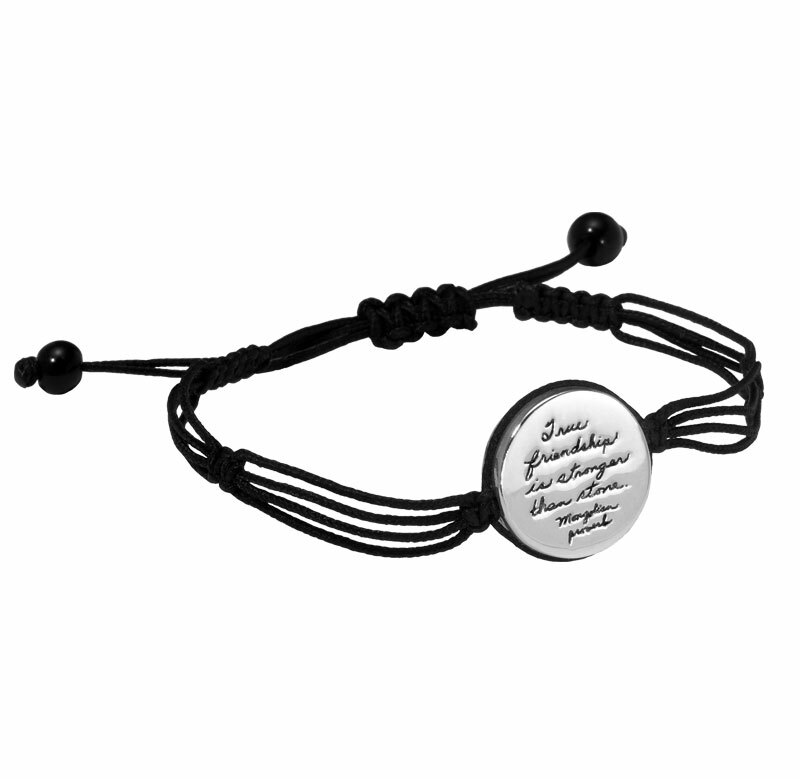 Give her a treasure that perfectly represents the ties that bind your friendship. Many cords represent your shared journey, the experiences where you’ve laughed together, and the knots you’ve navigated through along the way. They lead to a Sterling Silver shield that reflects strength and courage. The eye-catching beveled edge and Jo Becker’s handwritten script add special touches that will make this a beloved keepsake.